…’love peace and quiet and good tilled earth…’ Tolkien is almost writing about himself in the first half of this paragraph. We later learn that hobbits like beer and pipe-weed, again Tolkienesque. 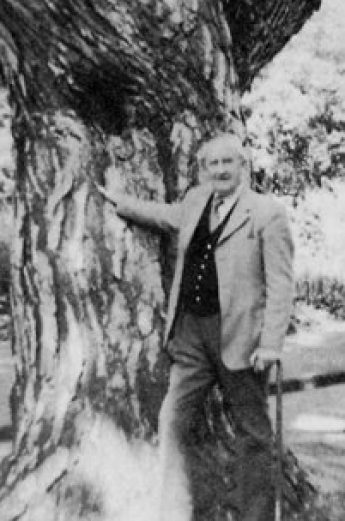 Tolkien once wrote in a letter that he was a hobbit, liking all the above and fancy waistcoats. ‘being fond of simple jests’ – JRRT again. I know Mirkwood is derived from the Elder Edda but I’ve always thought it one of the great descriptive names for a forest, long before I knew about Eddas. and sagas. So far, the prologue mentions lots of unexplained things from the past, just one e.g. ‘the kings of men that came over the sea out of Westernesse’ and if you want to find out more, you’re going to have to read the book! At the time this was written smoking pipe-weed was quite acceptable. Pipe-weed doesn’t seem to be as addictive in LotR as in real life because the fellowship goes long times without smoking and Bilbo, in old age, has almost given it up. Jackson had to portray smoking in his films but very low key and deprecatory. o pipe-weed I miss you!! Ok, a reflection of Tolkien’s idea of ideal government – anarchy or very little of it – which might work in a small country where most inhabitants didn’t break the law. Tolkien believed that non-constitutional monarchy was the best, all fine well if you get a decent king like Elessar. The Shire stratified and deferential and though it’s generally kind, it’s still class-ridden. Tolkien mainly concentrates on the riddle game with Gollum and Bilbo’s finding of the ring because it is crucial to the future of Middle-earth, both the finding and the mercy showed towards Gollum by Bilbo. The word ‘luck’ is used several times in its being Bilbo who finds the ring. More of this in ‘shadow’. Could this section be considered a spoiler because it talks of Middle-earth after the quest to get rid of the ring. Some bits of it I find unspeakably sad. I’d just like to note of all the books mentioned, nothing is fiction. All the beings of Middle-earth at this time don’t seem to have made-up stories from their imaginations. Neither do they seem to have have drama and only Sam makes slight reference to ‘a play-acting spy’ later in the story. ‘riches…now become a local legend. Legend and story are very important themes in LotR amd it begins right here in Hobbiton. For once hobbit dislike of anything out the ordinary and maybe jealousy will prove to be right. Bilbo’s ‘prolonged vigour’ ‘will have to be paid for…it isn’t natural, and trouble will come of it’. C.S. Lewis said there was too much of hobbit talk but I love this conversation at the Ivy Bush. It shows the hobbits’ clannish nature and dislike of anything unfamiliar – hobbits who live on the other side of the shire, the old forest, boating, written in italics on p.35. Tolkien weaves back-stories very well. It’s not mere exposition; there’s a reason behind all the telling of this family history – because Bilbo’s party makes everyone want to know about him and his relatives again. O dear, there’s just so much to quote. Sam, mad for the old stories and knowing how to write, thanks to Bilbo, and the Gaffer warning him this will lead to trouble but if you ‘desire dragons with a profound desire’ and are curious be prepared for where it might lead you – the road. Tolkien’s still in hobbit mode, having children as his audience and also himself I think with all the food, gaiety, presents and fireworks still being anachronistic in comparing the dragon firwork to an express train. He liked dragons but not trains. ‘an engrossing entertainment’ – a bit of Tolkien humour and punning. Ditto Proudfoot/Proudfeets. The Springle-ring, the only dance mentioned in the whole of LotR and subject of lessons at Oxonmoot. ‘I don’t know half of you as well as I should like and like less than half of you as well as you deserve’. It does in fact work out as a compliment though it took me years to fathom it out. However bilbo does go on the insult – one gross. Bilbo VANISHES much to everyone’s chagrin. Bilbo showing signs of reluctance at leaving the ring behind and Gandalf showing some of his latent power. Gandalf’s temptation to seize the ring. Others will also be tempted. The first version of the road song – pursuing it with eager feet. That has been the first real drama in the book with indications of dangers to come. Now we go back to a bit of flummery. It was a full house for our meeting this afternoon, and very lively. We looked forward to our annual trip to the cinema to see the next instalment of the The Hobbit film trilogy, and were introduced by Laura to the concept of ‘echo tongues’ as used in some modern fiction, before we began our third(!) group reading of LotR. We were naturally starting with the Prologue and Chapter 1. Eileen, reading LotR for the first time, remarked on the amount of humour she found in these first parts of the text, as well as the lovely descriptions of scenery, but was surprised by the tension between Bilbo and Gandalf. Eileen also commented that she thought Tolkien was playing with his readers in the way he set this up. Mike noted the very hobbit-like humour emerging at times in Chapter 1. Tim agreed that there is ambiguity for the first-time reader in the relationship between the hobbit and the wizard. Mike commented on Tolkien’s use of different narratorial voices in the Prologue, where it is more ‘scholarly’ and didactic, and the story itself where he suits the voice to the character. Pat remarked that he differentiates the characters as people differ in society. Laura noted the specific kinds of characters we meet in the Ivy Bush. Tim then reminded us that Tolkien did not write this story! Bilbo wrote the original and Tolkien translated it. This led to various recollections of other writers who used this ‘found manuscript’ device. We mentioned M.R. James, Lovecraft, the Flashman series, and Umberto Eco’s The Name of the Rose. As we discussed Gandalf, Ian surprised us with his observation that Gandalf arrives in the Shire with a cart load of munitions! Pat commented that Tolkien created fireworks she didn’t recognise and there was some nostalgic recollection of simple fireworks we remembered. Angela remarked that Tolkien must have liked fireworks. Mike wondered if the volcano described was (presciently) Mount Doom. Tim and I thought it was Erebor while Ian thought its identity was ambiguous. We briefly tackled the traditional question of the ‘express train’, but having thrashed out this anachronism during previous readings, Ian’s observation that this image was “the closest Tolkien could get in his translation of the ‘original’ description of the noise, power, and sight of the dragon” went unchallenged. Pat then questioned the way in which the transmission of the Ring is dealt with and Chris commented that two ‘Powers’ are vying for influence over it. Laura suggested that this made the Ring neurotic! Noticing that the Ring was not originally on a chain when Bilbo found it, Tim proposed that its chaining by Bilbo to keep it from slipping off was also symbolic of the Chaining of Melkor. Laura then extended the idea the Ring being under external control and suggested that the hobbits might be understood as Iluvatar’s ‘sleepers’, quietly existing and protected until they were needed. Eileen wondered if there was a hidden agenda behind the characterisation of Gandalf, and Mike suggested that he was part of a constant iteration in the story of ‘something beyond’ what is apparent. Pat compared the thematic motif of the journey which is a physical representation of always moving beyond. Mike thought this was perfectly précised in the ‘Road Goes Ever On and On’ song, especially in the last line: ‘And wither then, I cannot say’. Angela then referred us to the Appendix and its information that the external guard on the Shire was doubled after the Birthday Party. Ian remarked that this implied a need for the hobbits to be kept inside, even suppressed. Mike added the ominous analogy of the suppression of the working classes, since the Shire folk are primarily farmers and small craftsmen. Pat considered the matter of the presents Bilbo gives, and wondered if the sarcastic or perhaps spiteful messages accompanying them were related to the influence of the Ring on the otherwise kindly hobbit. Mike noted that the gifts are highlighted in capitals in the text, and Ian suggested the presence of rhetorical figures such as alliteration implied the significance of the gifts at a level beyond the companionable. Chris did not agree that the Ring influenced the present giving. Eileen approved of the sharp edge to some of Bilbo’s messages because it adds another facet to his characterisation and Mike agreed that Bilbo is an adult and his flaws link him to us. Tim thought that Bilbo’s presents were an unburdening as he leaves, compared to the Ring which he really wants to keep. Mike noted that the relationship between Bilbo and the young Frodo is a sign of the times – there is no hint of moral darkness in it. Pat then asked, as Gandalf does not get a present, what we would give him? Julie proposed a tobacco jar. Tim suggested ‘ a cartful of problems’, while Ian suggested ‘Frodo’. This is indeed finally the answer to his cartful of problems! Laura observed that the chapter itself moves from fun to something darker, and Ian remarked that the Prologue in fact introduces doubt with references such as ‘mere luck’ and ‘luck (as it seemed)’. Tim then wondered who the Authorities are that are mentioned in the Prologue as judges of the rules of the Riddle Game. I thought they could have been very ancient, because Gollum knows the rules of the game. Mike thought they were probably the drinkers in the Ivy Bush – keeping up knowledge of the Rules whenever they were instituted. Pat returned to the influence of the Ring on Bilbo, asking if it was the motivating power behind Bilbo being able to find his way through the tunnels under the mountain because it ‘needed’ him to get it out. Pat also wondered if it was the reason why Bilbo lied uncharacteristically. Julie observed that the Birthday happens around the time of the Equinox – a time when light and darkness are in balance. She also wondered if Frodo’s ‘fidgeting with something in his pocket’ during his interview with the Sackville-Bagginses was a sign that the Ring was beginning to influence him, that it was already out of its envelope and in his pocket. Tim ended our session with the observation that the ending of Chapter 1 is poignant. Our next reading will be the next 2 chapters up to ‘A Conspiracy Unmasked’, although some of us may read further. Unfortunately this afternoon we were missing Julie (making Christmas puddings! ), and Mike and Tim – both languishing with illness, but the rest of us had a busy afternoon. Tim, like Carol, sent comments by email which are included as appropriate here. Before starting the discussion, Ian updated us on the fate of the pinus nigra, Tolkien’s favourite tree in the Oxford Botanical gardens which lost 2 of its major limbs during the summer and had to be cut down. Eventually we turned our attention to our nominated reading: ‘The Battles of the Fords of Isen’, and ‘The Drúedain’, having briefly touched on some of its major elements ahead of Laura’s arrival, thus Laura picked up the point Eileen had mentioned – that Grimbold and Elfhelm, the 2 marshalls of the Riddermark, had compromised and co-operated although they had different ideas. Angela, Eileen. Laura and I found the detailed strategy Tolkien describes in the battles rather difficult to engage with, and Eileen was surprised that no time was given to mourning for Theodred. We variously suggested that there was no time in such a dangerous and embattled situation, and Laura remarked that it probably represented real battle conditions such as Tolkien would have known from his time in the trenches. Laura added that Theodred is later buried in one of the barrows at Edoras, when there would have been time to mourn properly. Ian went on to observe that the title of the volume we have been reading – Unfinished Tales – is not really accurate in the case of The Battles of Isen because this is less an ‘unfinished tale’ than an ‘Untold’ tale until now. Laura picked up the matter of Theodred’s death when she noted that there is something mystical and/or supernatural about the way Theodred is left for the time being as if in defence of his home territory. Chris wondered why the full story of the Battles was not included in LotR. Angela and Ian suggested that their inclusion was not structurally necessary to the development of the story. “but the shield wall held” the battles of Isen might not be the main ones fought in the War of the Ring and left out of the main text but they are great battles nonetheless. The Rohirrim are stern fighters and without these battles, however much defeat is suffered, they nevertheless contributed to Saruman’s final defeat in the Rohirrim’s bravery, staying power and experienced fighting. A bit like the Alamo holding back Santa Ana’s army in Texas till Sam Houston could get his act together. Laura observed that there is no feeling for Theodred, except that Saruman targets the prince especially as a tactical move – taking out the head/commander. Carol commented by email: ‘somewhere else in the book ‘little mistakes’ are mentioned that lead eventually to the enemy’s defeat. Here we have an example of Saruman not following through after Theodred’s death and invading the Westfold immediately: hubris’. I suggested that Saruman’s tactic may also have been expected to weaken Theoden, who was already undermined by Grima’s influence. Laura noted the potential additional impact of Saruman’s recruitment of the Dunlendings and Angela remarked on their vengeful attitude towards the Rohirrim. Carol commented: ‘the appendix [to the chapter] is well-written, interesting and gives a lot of otherwise unknown background. But the question does arise about the original inhabitants of Calenardhon, i.e. the Dunlendings. Superior race comes in and the natives suffer. Who can blame the Dunlendings? and Saruman exploits this. As is said after the battle of Helm’s Deep, not in 500 years do the Dunlending forget their grievance against Rohan and it isn’t too great an exaggeration for holding grudges as witnessed in religious divisions, some longer than 500 years. Angela went on to comment that Peter Jackson includes the Battles of Isen in his films and has been praised for this. Laura wondered if Saruman’s forces employed a bad tactic using wolf-riders in the same as horses – which feared them. Tim commented ‘The chapter reads very much as a part of a greater military history of the Rohirrim, in tone and content. (I meant to sit down with my Middle-earth Atlas and try to work out the details of it visually). Laura observed that throughout the Battles Tolkien’s understatement registers the horror of his own war experiences. We moved on to consider the chapter on The Drúadain, and Angela remarked that although this race is described as ‘unlovely’ that are also said to be much respected and loved. Laura thought the description of the Drúadain reiterated Mongolian characteristics, although their glowing eyes added a mystical dimension. Carol commented: ‘the Druedain are very earthy aboriginal peoples with seemingly the power of the Maiar to transfer part of themselves into inanimate objects – like Sauron and the Ring.’ Laura observed that Druedain philosophy linked to this which meant that the transference of power involved some reciprocity. I wondered if we should understand the orcs as being superstitious in their avoidance of the wooden carvings the Drúadain made of themselves sitting on orcs which they placed at strategic places. Laura thought this was perhaps a sign that the orcs were being more practical in their dealings with the secretive and dangerous Drúadain. Eileen remarked that orcs certainly seem to be aware of the Drúadain insults. Chris observed that the Drúadain are sensitive to changing winds like hobbits, and like them are linked to the earth. Angela remarked that they are not hobbits in their preference for drinking water and Laura suggested that in this they seem entish. Chris then wondered why Tolkien invented the Drúadain, apart from Ghân-buri-Ghân? Angela thought it was filling in the backstory, while Laura proposed that Tolkien was depicting the diversity of the earth-dwellers. Laura also noted the great service provided by the Drúadain to other peoples, and she thought there was a resemblance between them and Tom Bombadil. Ian, however, thought this was not the case, but Laura explained that she thought they were closer to the elements – like Tom. Angela then noted that there had been Drúadain in Numenor, even though they disliked voyages. Eileen remarked that Drúadain laughter is contrasted to their ‘gutteral voices’, and considered this to be a comment on real communication. Chris observed that Drúadain language is not linguistically mixed with other languages of Middle-earth and that this may have been Tolkien’s reason for including them. Ian thought this reflected Tolkien’s interest in languages, and Angela noted both Christopher and his father’s discursive work on languages. Ian went on to observe the synchronicity of the Isen battles and the Drúadain episodes and Carol had also commented ‘here we get synchronicity with the main text of Theoden and co. also riding for Helm’s Deep and the ents ransacking Isengard.’ Synchronicity seems to evolve here as a theme. Carol commented on a note to the chapter in which Elfhelm is said to have explained the sound of the unseen Drúadain to Merry: “nice bit of etymology going on here – a bit English folklore”. They are described as ‘woses’ [from OE wudu wasa ‘woodwose’], but also as Púkel-men from OE púcel ‘goblin, demon’. For our next meeting we shall be reading ‘The Istari’ and ‘The Palantiri’, and that will finish the book. This means that in December we shall begin reading The Lord of the Rings! It was good to have Julie back with us again this week, and Carol had sent her comments again as our reading this week picked up Unfinished Tales at ‘The Line of Elros’ and ‘The History of Galadriel and Celeborn’. But after our usual foray into AOB (any other business), which included Ian recommending the book he had just read Carl Phelpstead’s Tolkien and Wales for its attention to Arthurian material and the little-known ‘Aotrou and Itroun’. We then noted that ‘Aragorn’s Sword’ from the LotR films is coming up for auction – thanks to Laura’s mother for the newspaper cuttings – we took on the question of ‘whether Elves can commit suicide’. This was a question from a non-Southfarthing member which prompted opposing answers from Laura and me at the time, and elicited a range of responses at the meeting. My immediate response had been that Elves can commit suicide, but Laura had asserted that this was not possible because they were tied to the existence of Arda. Angela reminded us that Feänor’s mother gave up her life, and it was variously noted that Elves can be re-incarnated, or may be left in the Halls of Mandos, from which Ian extrapolated the suggestion that they could commit relinquish their lives but would be judged by Mandos according to whether they were culpable or whether they deserved to be re-incarnated because their relinquishment amounted to a selfless act. Angela gave the example of Glorfindel1 who sacrificed his life battling a balrog during the Fall of Gondolin and was later reincarnated in the Second Age. I thought Amroth probably counted as culpable for throwing away his life in a tempestuous sea even though he was in love. Chris then pointed out the fascinating fact that all the Elves who sail into the West may be said to be giving up on life, and Tim thought this was true of Frodo, although/because he has suffered so much he cannot sustain living any longer. We considered situation of Arwen, who gives her immortality to Frodo, as well as the situation of Elros and Elrond, one of whom relinquishes immortality in favour of eventual death. Angela then drew our attention to the practice of Númenórean kings who originally laid down their lives and chose when to die. This rather neatly brought us to ‘The Line of Elros’. Laura said she found it ‘rivetting’ and observed that it reads rather like the Anglo-Saxon Chronicle, including specific forms of words for dying. It also shows evidence of political thinking. Tim observed that its form equates to tasters of information that prompt the reader’s interest, and that the list of kings emphasises Aragorn’s nobility and lineage. Tim then noted that the 13th king refused to ‘lay down his life’ and this was part of his general rebelliousness. Angela observed that the 5th king, Tar-Meneldur, resigned his kingship in favour of his son Aldarion because he realised he was not up to the job. Laura then noted that Aldarion’s daughter rejected her father’s connections with Gil-galad, but Angela remarked that this showed the extent to which she was influenced by her mother Erendis. I thought it showed that she had no grasp of ‘foreign policy’ and Angela observed that it showed that she was lacking the influence of her father. Angela went on to notice that Aldarion’s daughter Ancalimë gives rise to a number of female rulers, and a number of daughters who refused to rule. Laura remarked that the sceptre of Numenor was the sign of the right to rule as it was in Egypt and is in England. Angela observed that this is the sceptre brought by Elrond to the coronation of Aragorn. Laura then noted that there is a mention of Sauron’s presence later in Numenor, but it is not developed. She also remarked that by noticing the length of each ruler’s reign it is possible to see the life spans of rulers diminishing. Ian considered that the great life spans are an effective way of constructing a sense of great spans of time passing. Laura then remarked that the story of the queen Tar-Miriel is worthy of a book on its own. While Angela joined her in observing that Tar-Atanamir the Great (the 13th king) was dragon-like in his greed. Angela added that the 12th, Tar-Ciryatan, bullied his father out of the crown. I was interested in the cultural situation during the reign of Tar-Ancalimon when Elvish fell out of favour in the Royal house except for the royal titles which were still in Quenya ‘out of ancient custom rather than love, for fear lest the breaking of the old usage should bring ill-fortune’. I took this to indicate that the dilution or loss of meaning of an historical tradition leads to superstition. I then questioned why Tolkien created so many versions of some of the most important elements of his stories – even ones already published, or otherwise regarded as completed. Ian suggested that the various versions represented what Tolkien regarded as improvements, but that he was always writing in small chunks. In the case of ‘Galadriel and Celeborn’ the various version might be understood as ‘frames’ which could then be put together. Laura observed that Tolkien clearly lived with his head full of ideas which needed to be expressed. Ian added that Tolkien recognised that his languages needed stories in which they could ‘live’. Tim declared Galadriel to be a rebel, while Laura suggested that at least she was honest with herself when she rejected the pardon of the Valar. Angela added that when she is described as ‘fighting alongside Celeborn at the Kinslaying’ she sounds like a warrior but the concept of fighting probably indicates something other than armed activity. This led us on to considerations of female warrior elves (! ), which then led to the conduct of Thranduil in the second Hobbit film. Carol had commented that in Appendix B ‘The Sindarin Princes of the Silvan Elves’: “I like it when you get little snippets not found elsewhere or rarely, like Oropher as Thranduil’s dad. Oropher dies at the last alliance.” Angela noted that in the story Thranduil is shown to be clearly traumatised by his participation in the Battle of the Last Alliance. Tim observed that Appendix E gave a detailed analysis of the names ‘Galadriel’ and ‘Celeborn’ in various forms. Angela then raised the unfortunate matter of Celeborn’s Telerin name, which is given as ‘Teleporno’. Obviously Tolkien could not have known how the final syllable of this name would come to resonate with unpleasant modern significance. This reminded us that we had noted other instances where some elements of Tolkien’s terminology, used at a time when they were entirely proper and innocent, have since changed their connotations, most notably his use of ‘queer’ – peculiar, and ‘gay’ – merry and lively. Carol commented: “Interesting this section, names are very important. Is it right that if you know someone’s/something’s true name you have power over them? Treebeard says that names are like a story, they grow and change as we do, hence different names for different stages of life, e.g. Túrin. Ian then asked why we thought Christopher was so bothered about his father’s non-statement about what happened to the 7 Rings in spite of giving details about Sauron’s raid and theft of the 9 after torturing Celebrimbor. Tim reminded us of the earlier observation that Tolkien needed to record all his ideas, while Julie remarked that in real life we find many variants of histories and myths, and a lack of coherence. Julie then went on to observe that reference to the Numenorean fleet approaching Eriador serves as a pre-echo of the Black Ships, when the identity as friend or foe is not known. Having run out of time, we quickly agreed that for our next meeting we would read the chapters ‘The Gladden Fields’ and ‘Cirion and Eorl’. Nowt much to say really about the monarchs of Numenor except to remark on the descent of the use of regal powers – mercy, justice etc, but we know all about that. ‘the role and importance of Galadriel only emerged slowly’ – the creation of the backstory to Lorien etc. I like this little tale of Galadriel’s refusing a strand of her hair to Feänor to put into the silmarils but 3 Ages later she gives 3 strands to Gimli from a race supposedly very antipathetic towards Elves. I also like the use of ‘unfriend’ with regard to Galadriel’s and Feänor’s relationship, like ‘unlight’ referring to Ungoliant. Mention of them having a son Amroth (eventually of Dol) but this is nowhere mentioned in LotR where they only have one child, Celebrian, Arwen’s mam. Lots of other 2nd Age history – the fall of celebrimbor and co; the setting up of Rivendell; Sauron’s rise and fall and festering hatred. Interesting but no great comment like the stories of individuals. Galadriel’s coming to Rivendell with Celeborn seeking Celebrian whom she find there. 2 thing: this is probably when Elrond meets Celebrian and Celeborn returns to Rivendell after Galadriel has departed at the end of LotR and from where supposedly he rides from for the havens at an unspecified time. Can never understand why he hasn’t gone with Galadriel. Another ill-fated love story, very airy-fairy romantic. In today’s ethos of wham-bam-thank-you-ma’am, it all seems a bit elasticated, even for me who’s views now seem old fashioned. They debate, get separated, lose each other. If Nimrodel loved Amroth why the hell didn’t she just marry him? About Elves being beardless – Cirdan is described as having a beard! Of all the names and interpretations of names for Lothlorien my favourite will always be Laurelindorinan, ‘land of the valley of singing gold’ (Treebeard) (Llanfer…gogogo eat your heart out) it just makes you want to find it and live there. Gorgeous. I like the way Tolkien use s the prefix ‘un’ in unusual ways, here in ‘undeep’ meaning shallow. see above. Just a general comment about deforestation – men just don’t seem to be able to help themselves. Trees are easy pickings because they can’t fight back. Not even Ents could have stopped the massive destruction. Comment about the ‘courage and hardihood required’ for Boromir’s journey to Rivendell not being fully mentioned in LotR. Could be because Boromir vaunts it so much, enough to make even Bilbo sarcastic. Emilie Amt’s book on women in medieval Europe includes examples of the wills of Anglo-Saxon women and in one of these is a woman named Wynflæd (d. c. 950) who bequeathed to Eadwold (a man) ‘her gold adorned wooden cup in order that he may enlarge his armlet with the gold’. Tim remarked that perhaps the increasing of a man’s ‘beag’ (armlet/arm-ring) in this way approximated the adding of ‘ribbons’ to medals – a sign of personal worth rewarded rather than mere monetary value. Ian suggested that the gift implied added status for the man, while I thought it might also signal to others his place in an important relationship, since the woman was wealthy enough not just to bequeath the gold-covered cup, but had the status that allowed her the privilege of making a will – not something many women could achieve. Laura thought there was an historic dimension implied in the making, and reworking, of jewellery, establishing a connection with ancestral skills in society. Ian directed our attention to Tolkien’s long commentary on the place of Christianity within the Beowulf poem. I remarked that the whole section read rather as though Tolkien was ‘evangelising’. Ian responded by observing that Tolkien was arguing for the way his students should approach the text, and that the poem was originally educating its audience in the mixing of Christianity in the heroic age. We noted that the translation pre-dates Tolkien’s seminal essay Beowulf: the Monsters and the Critics. Laura turned our attention then to the matter of the comparison between the 2 queens the virtuous Hygd and the cruel maiden Þryđ (Thryth) who then becomes the perfect queen when married to the right man. Angela suggested that this was the ‘Taming of the Shrew’ motif, and indeed Klaeber noted as much in his OE edition of the poem. Laura noted that the Commentary reveals the problem of the ‘difficult bits’ of the poem – lines and sections which resist definitive translation and which are shown to admit various possible translations. I mentioned that while reading and checking various bits of the translation against the Klaeber OE edition I had come across the term hysteron proteron. Investigating it revealed its classical Greek origin as a rhetorical device in which the natural order of chronological events is reversed. Ian suggested the example ‘put on your shoes and socks’ – logic tells us we can’t put socks on after putting on shoes. The Beowulf poem includes not only this rhetorical device, but further reading shows it to be full of others, some of which can be seen to influence Tolkien’s prose in LotR. Angela recalled an example of hysteron proteron in the chapter ‘The Passing of the Grey Company’ when Aragorn had ‘neither rested nor slept’. Ian, using his palantir, discovered the website Silva rhetorica which confirmed the definition of hysteron proteron. Part of the difficulty of Tolkien’s Beowulf translation, where the syntax is indeed strangely contorted, must be due to his wish to retain the underlying significance implied by the original use of rhetorical devices. These are detailed in a Christian context in a work by Bede, although Tolkien probably knew them anyway from his early training as a classicist. Ian observed that, as in the poem, Tolkien reuses various terms and, as in the poem, that reuse brings in additional significance from the external sources. If a translator oversimplifies a translation some of that is bound to be lost. Laura then asked if we should not give some thought to the dragon? And quoted Tolkien’s assertion that ‘a dragon is a dragon’, but that the dragon might also be seen as old age – the one thing Beowulf the hero cannot overcome – the final defeat. Time wondered if the dragon fight was a metaphor for Beowulf battling himself and his reputation in old age, while Ian wondered if the dragon represented the Geats themselves. Ian observed that in the final battle Wiglaf is the human hero in place of Beowulf the mythic hero who was also the totem of his kingdom, holding it together, but who can no longer exist in the newer world. Ian went on to note that Beowulf’s slaying of the dragon is not wholly welcome because he dies and leaves his people open to attack by the Swedes. Laura commented that Wiglaf’s last speech of rebuke to the men of the household who could not face the dragon reminded her of the old retainer’s ‘mod scal þe mære…’ exhortation at the end of the Battle of Maldon – an injunction to stand and fight or face inevitable destruction. Beowulf’s Geats will be overrun by their Swedish enemies because Beowulf dies as the English will be overrun by Vikings (also mostly Swedes!) at Maldon. Tim noted that after the dragon is killed many twisted armlets are discovered and Laura described the investigation of the barrow as like an Anglo-Saxon ‘Time Team’ as the Geats excavate many ancient objects from it. Ian added that there is then a realisation that this is a bad move as they finally rebury the treasure. This led us to finding clear links with Tolkien’s stories when Tim remarked on the discovery of the ‘ancient blades’ in the Barrow-wight’s mound and Angela noted the discovery of the Elven swords in the troll cave in The Hobbit. Tim noted that Beowulf’s sword Nailing fails in his last conflict as Narsil fails Elendil in his confrontation with the great destructive force that was Sauron. Laura remarked that the blade of the giant sword Beowulf uses to kill Grendel’s mother melts away as does the blade of the Morgul knife used to stab Frodo, and Angela noted the same melting of the blade of Merry’s sword after he stabs the Lord of the Nazgûl. We considered the difference between the 2 instances of melting. Chris observed that the treatment of swords in LotR and TH suggests the societies represented in those stories are ‘deskilled’, because there is a constant reliance on old swords and ancestral artefacts. Ian thought this implied the need for special attributes in order to be able to wield those special items. Chris added that there is plenty of ‘new weaponry’ such as catapults and ‘dynamite’ (Saruman’s blasting fire), but these weapons do not have ‘status’. Laura observed that for the Anglo-Saxons any marvellous sword of ancient ancestry ‘might’ have been forged by the mythic Germanic smith Weland. I had drawn attention to a Bilbo and Frodo moment in the translation where a corslet, sword and ring are passed by an old warrior to a younger one, and Ian remarked that when weapons are given as gifts the relationship between the donor and recipient is protected by the giving. Ian noted that dire consequences were associated with dragon treasure in the poem so it was returned to the earth and stories were made about it instead. Angela also noted that the dragon is said to have burned itself, and Laura remarked that Beowulf gets hot under his masked helmet, which reminded her of the Sutton Hoo helmet with its mask (OE grima), which may have belonged to Rædwald. Tim then thought he spotted a ‘fox’ moment – in the translation/poem when the raven is mentioned. I noted that the raven is in association with the eagle and the wolf and together they are the Anglo-Saxon ‘beasts of battle’. Chris observed that the pessimistic tone of the Beowulf poem and translation fits perfectly with Tolkien’s other work which does not specialise in happy endings. Ian remarked that this pessimism represented northern acceptance of ‘how things are’ – there is no salvation in the pagan northern tradition [something Tolkien picks up and deals with in Beowulf, The Monsters and the Critics], and Laura noted that there is no sense that Beowulf is going to heaven in spite of all the biblical references. After an afternoon’s wide-ranging and quite intense discussion (at times), we agreed that for our next meeting we would finish reading the Commentary and the ‘Sellic Spell’. In spite of the expected stormy weather everyone who could get into the Library made the trip – a few people were already doing other things – but 8 of us gathered to continue reading The Fall of Arthur, ‘The Poem in Arthurian Tradition’. We had already discovered in our reading that Tolkien drew on the best-known sources of Arthurian legend: Geoffrey of Monmouth’s late 12th century Historia Regum Britanniae, the alliterative Morte Arthure, the French romance Mort Artu, the stanzaic Morte Arthur and Thomas Malory’s late 15th century Death of Arthur. In view of this range of influential material, I began the discussion by asking if everyone found the chapter on Tolkien’s use of the Arthurian tradition more or less confusing than the Commentaries on sources in Sigurd and Gudrun. Angela said she needed to make notes, while Laura said she found the Arthurian material less tricky to work through. Tim observed that the chapter we were reading provided a useful summary of sources. Chris remarked, with a hint of subversion: ‘which version would Peter Jackson make’! We spent some time discussing the kinds and functions of the sources – especially the political agenda behind Geoffrey of Monmouth’s text. Mike suggested – with reference to critical opinion of the source texts that once academics establish the status of a text there is no challenge. Ian commented on function and motivation that there may also be a desire to record oral history on the part of early authors of what is now called ‘pseudo-history’. That this is not necessarily connected with political legitimation such as that posited for Geoffrey’s work, but might depend on funding from the rich and powerful. Tim questioned whether it was possible to regard Geoffrey as indulging in his own act of ‘sub-creation’ as he put together tales from ancient sources of his own? Mike observed that people have always been filling in gaps in what is already known, and that things are taken as fact until they are proved wrong. We all discussed a range of problems associated with knowledge and Ian remarked that knowledge is often a matter of interpretation. I mentioned that we are used to being sceptical but at the time when the Arthurian source texts were written critical questioning of established authorities was not acceptable and had to cautiously attempted. The classic later example is Galileo, who was forced to recant his heliocentric theory of the universe because it challenged established theory. Mike returned us to the text when he asked if we thought Tolkien was satisfied with his version of the Arthurian material. Laura remarked that he too was rewriting the old legends. Ian noted that his treatment of Arthur’s return home may have provided a ‘moral’ to the tale but since the poem is not completed Tolkien left the argument unfinished. Mike observed that not finishing things was Tolkien’s problem. Chris remarked that Tolkien just seems to have liked creating the poetry. Mike observed that Tolkien was making the older, and sometimes difficult, material accessible for a newer audience. Chris added that Tolkien was writing for a modern audience in his characterisation of Guinevere, who is accorded more self-determination, more psychology, and emotion than is customary in the sources. Mike then asked about the characterisation of Mordred, and whether it retained in Tolkien’s poem the same negative aspects traditionally linked with the character. We searched the chapter and found that the alliterative Morte Arthure provided the basis for Mordred’s lust and threats against Guinevere, as well as her escape from him. Other aspects of Mordred’s characterisation were much as we anticipated. But we considered possibilities such as the influence of the wicked regency of King John on Tolkien’s depiction of Mordred as a violent usurper. Angela compared the relationship of Arthur, Mordred and Gawain with that of Aragorn, Denethor and Boromir, and possibly Faramir, as there are 2 versions of Gawain in the source texts. In the better-known version Gawain is called ‘the Good’ and is heroic and loyal. In the less well-known version he causes a violent feud. Our discussions were wide-ranging as new topics constantly opened up before us, but it was agreed that we would read the next chapter in the book: ‘The Unwritten Poem, and its relation to The Silmarillion’. Well, we’re back! After our Yule break we resumed our discussions, beginning with a serious debriefing following our group visit to the film in early December. However, we took a moment to commiserate with Pat’s knee-problem which kept her from joining us, and with Kathleen who is currently in hospital. Somewhat depleted with Ian otherwise engaged, we nevertheless voiced our discontents with the film, and found little to approve in the adaptation, apart from Martin Freeman’s performance. We also considered some of the newspaper material generated by the film. Before we continue: please see the end of this report for a change to our future reading. When we turned out attention to our reading of the last part of Sigurd and Gudrun – The Lay of Gudrun, and its Commentary – Angela began the discussion with her observation of the gruesome ending of the Lay when Gudrun gives her husband Atli wine served in the silver-bound skulls of their sons. The wine is their blood mixed with honey. It was noted that when she tries to drown herself later the waves cast her back and Julie and Mike commented that this is in the tradition of water rejecting the sinner – a device familiar from the ‘swimming’ of witches. However, once Gudrun has expressed her sorrow that her grief-induced madness brought about the deaths of her sons the waves take her and her story ends. The Weland story was famous throughout Europe at the time. Chris noted that the first half of Sigurd and Gudrun is mythological, while the second half is based in history, but linked into the myth. Tim observed that the structure echoes the methodology of Geoffrey of Monmouth in his History of the Kings of Britain, which attempts to establish an historical foundation for kingship in Britain by reference to legendary and mythic characters. Laura remarked that the whole story appears to reiterate a universal, but not religious, motif of the hero who will save the race in its greatest hour of need. As Britain has Arthur, Sigurd is to fulfil that role in the Northern version, at the Ragnarok. Angela observed that Tolkien adapted this motif in his story that Turin would return at the end of days to kill Morgoth. Chris then drew attention to the many echoes of elements of Sigurd and Gudrun to be found in LotR. Laura observed that Tolkien may not have remembered all the instances of earlier use because the original source material in Northern myth would have been so familiar to him from his studies and interests as to become part of his being. Angela then noted that in the description of Gudrun weaving, she weaves an image of Odin in a blue cloak. Angela remarked that after the downfall of Sauron as Gandalf travels north with Galadriel wearing a blue mantle over his usual grey garb. Laura picked up the similarity between Gudrun wandering in a grief-stricken state and other instances in Tolkien’s work of elvish and other women wandering in woods. I commented on the way Tolkien creates the impression of Gudrun’s perception time passing in contentment during her grieving recollection of her life before she met Sigurd. This is achieved economically through the repetition of ‘gold and silver’ in stanza 21. The wolf is Atli the Hun, to whom she is to be given unwilling in marriage, and this will indeed lead to the death of her brothers Gunnar and Hogni. Gunnar’s death in a snake pit was our next topic. Laura remarked that the snake that kills Gunnar is not some exotic monster, but a monstrous-sized adder. We commented again on the alteration in English of the spelling of the snake’s common name from ‘nadder’ to ‘adder’. And Julie observed that there is a river flowing through Salisbury still called the Nadder apparently on account of its sinuous form. From language we turned back to the grim details of the story as Laura and Angela both commented on the cheapness of life among the slaves or ‘thralls’. Although this could be just a storytelling device, the killing of those who buried Atli reminded us of the stories of the killing of Egyptian slaves who interred the Pharaohs, which again could be a myth! The killing of the thrall Hjalli the swineheard reminded us only of the brutality of existence in the early medieval period. Changing the tone of the discussion, Julie remarked that she thought that Grimhild, Gudrun’s terrible mother, re-emerged into European story as Snow White’s Stepmother! Laura then remarked on the way Gudrun lists in detail the 5 harms she has suffered. I commented on the way Tolkien avoids the use of witchcraft in the process of Grimhild’s determination that Gudrun would marry Atli, although she used it to dupe Sigurd into marrying Gudrun. Between mother and daughter Tolkien seems to prefer to imply Grimhild’s psychological power and Gudrun’s inability to resist it. Angela drew our attention to the many references to eyes, some dark and ominous, others like Gudrun’s shining and beautiful. Angela noted Tolkien’s frequent use of glances and looks in all his work, including Galadriel’s glance that the Fellowship cannot withstand (except Aragorn). As we moved on to consider the Commentary and Appendix Laura picked up the Anglo-Saxon word waerloga the source of the later word ‘warlock’. This led us into a long digression on how the Anglo-Saxon word, meaning ‘faithless’ came to be associated with the demonic and witchcraft. After consulting Mike’s ‘palantir’, and the OED we were really no wiser! But Sir Walter Scott seems to have popularised the old Middle English version of the word. After deviation into the background history of the legends given story form in Sigurd and Gudrun we concluded our discussion of the book and agreed to move on to The Fall of Arthur. For our next meeting we will read pages 17-70 inclusive. And following my misunderstanding of the third in our list of texts for this year, we will in fact be reading Unfinished Tales – NOT The Book of Lost Tales 2 – which we have already read! Apologies for the earlier misinformation and any confusion caused.